Back in 2003, Slaag Records released the marvelous ?Spirit of the dance? 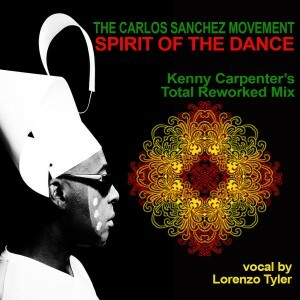 by Carlos Sanchez, an uplifting production featuring the sweet soulful vocals of Lorenzo Tylor alongside luxurious keys, jazzy organ and beautiful flute solos over smooth yet spell binding rhythms. Ten years later, CyberJamz Records re-released this gem complete with a stellar remix by Kenny Carpenter, fast forward to the present time and we are graced with a truly blissful rework by Kenny Carpenter of his mind-boggling 2013 remix laced with illustrious keys and utterly thrilling yet smooth rhythms. A&R SammyRock for Coyote Entertainment ASCAP 2016.